I discovered Novrozsky’s Hamburgers Etc on a recent road trip to Orange to visit the fascinating old Farmers Mercantile, a general store that has served the people of the area for almost 90 years. Hungry for a good burger, I asked Siri to find places to eat near me. Novrozsky’s topped the list. The name alone made me curious so I entered the address into Google maps and headed in their direction. The original Novrozsky’s restaurant was founded in 1982 in Beaumont. Today, they have locations through Southeast Texas, including Orange. According to their website, they pride themselves “on serving the most delicious and satisfying burgers in Texas.” Another reason I had to check this place out for myself. The Novrozsky’s restaurant in Orange is housed in a modest and nondescript building with only the name Novrozsky’s on the front. No problem! As someone who enjoys sleuthing out a good burger, I was far more interested in what I would find inside the building. I arrived well past the lunch crowd and walked right up to the counter and ordered their Bacon Cheddar Burger with all of the trimmings on a jalapeño bun along with a side order of hand-battered onion rings. 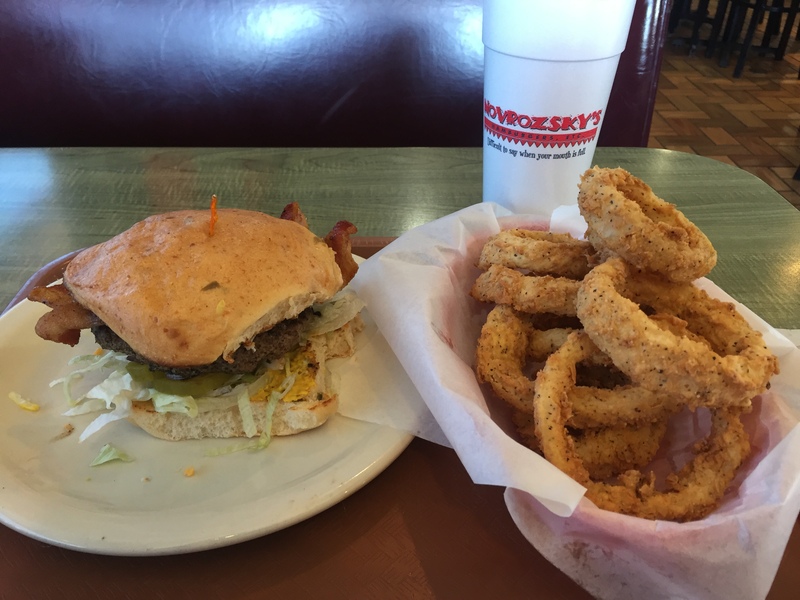 Novrozsky’s hamburgers are made with Nolan Ryan beef — 100% all natural, hormone-free beef raised right here in the Lone Star State. I filled my styrofoam cup with raspberry iced tea and waited for my burger. Looking around, I noticed that I was not the only person interested in having a burger for lunch. My burger arrived with a heaping order of onion rings. If the aroma was any indication, I knew this was destined to be a mighty good meal. Of course, the first bite always tells the story and my first bite was not disappointing. Oh my soul! This was truth in advertising — a truly delicious and satisfying burger. If it had been possible I would have eaten two of these fabulous burgers. 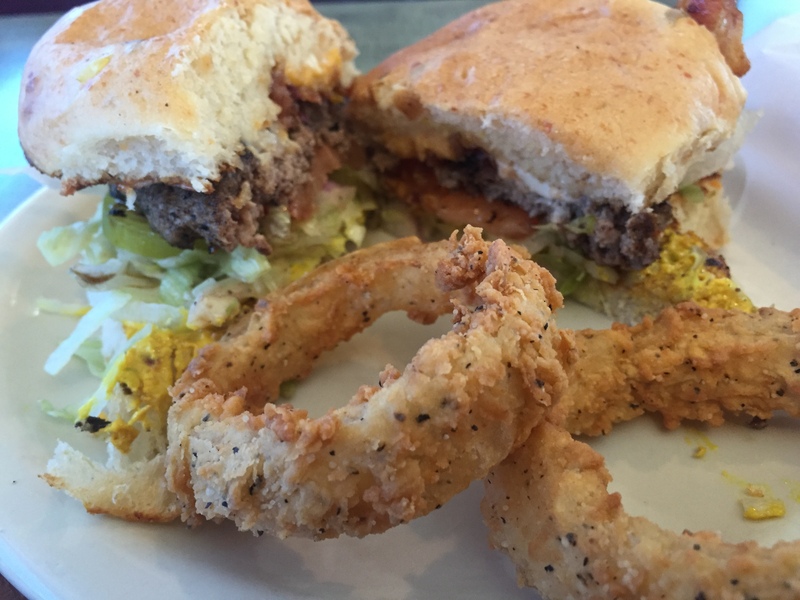 As for the onion rings — unbelievably delicious! The onion rings were a meal in themselves. The only thing that disappointed me was the last, moist, delicious bite. Not because it did not taste as good as the first bite but because I did not want for this meal to end. It was that good. 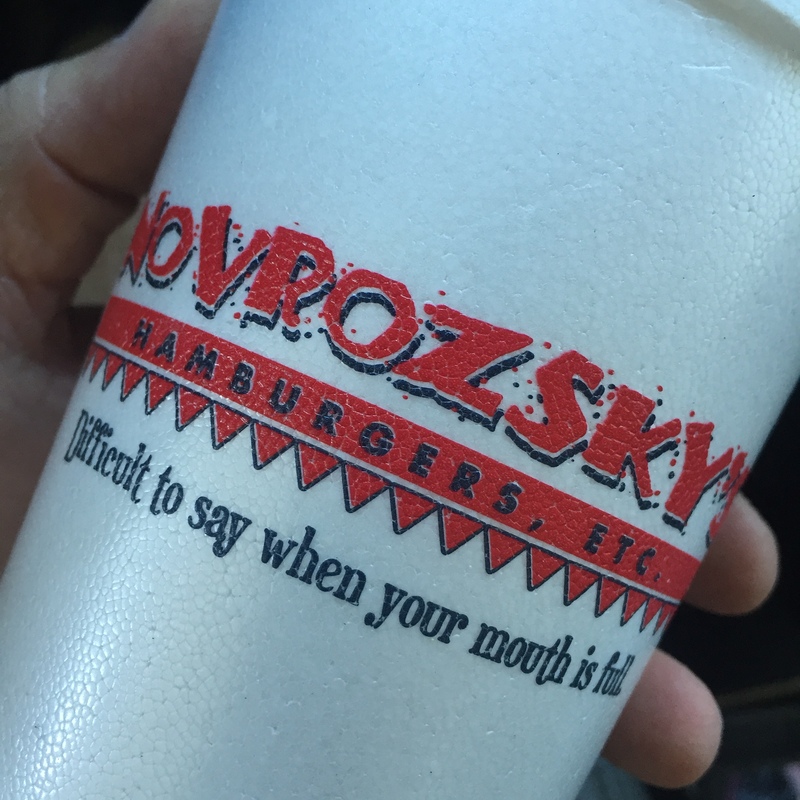 I give Novrozsky’s absolutely high marks in every burger regard. 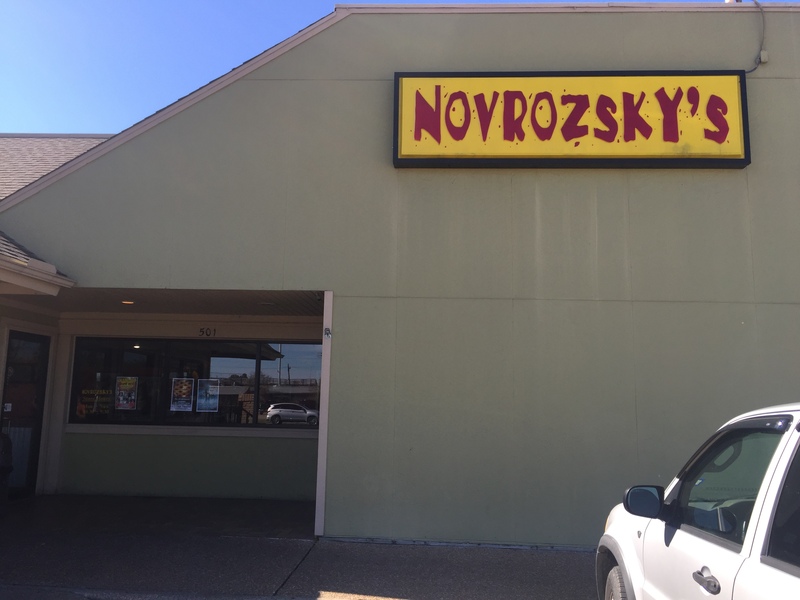 You can bet that I will stop at Novrozsky’s again the next time I find myself anywhere near one of their many locations in Southeast Texas. This entry was posted in Places To Eat and tagged Burgers, Hamburgers, Novrozsky's Hamburgers Etc. Bookmark the permalink.